Stickers have immeasurable applications. From child's play to corporate branding to a fun easy way to express yourself, stickers have universal appeal. From aggressive adhesive that sticks to almost anything to low-tack removable materials. We can meet your needs for any application. With a quick turn-around, friendly, helpful customer service and endless options for you to choose from, order your custom-printed stickers from Area 51 Signs & Designs and be on your way to letting them know who you are. Create any kind of sticker you want. 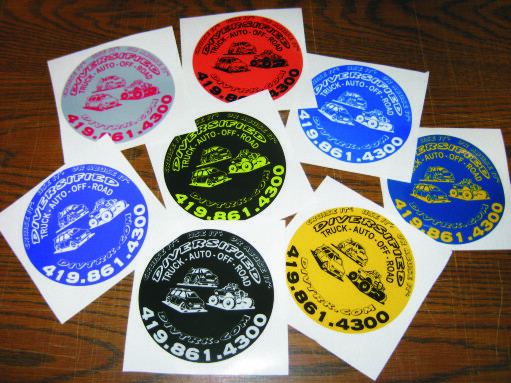 From bulk orders to specialty runs, turn to Area 51 Signs & Designs for all your sticker needs.